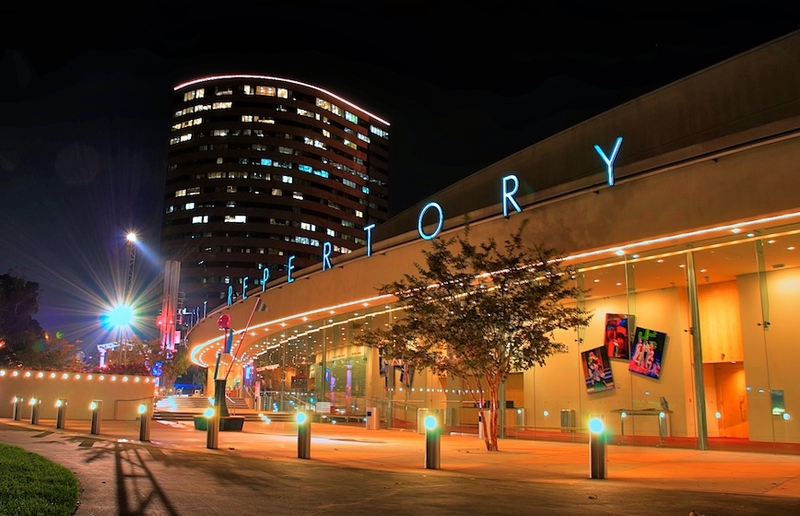 This is the South Coast Repertory Theatre in Costa Mesa, CA. I was walking around, camera in hand, looking for some things to shoot (as is often the case). My hotel was just a short walk away and after wandering around for a bit I came upon this building. I am frequently drawn in by architecture, and at night the twinkly lights helped capture my attention too. The Orange County Performing Arts Center is on the other side of this building, which was hosting some big production so lots of folks were out and about. Fortunately there weren't too many folks on this side so I was able to get a nice clear shot of the building.